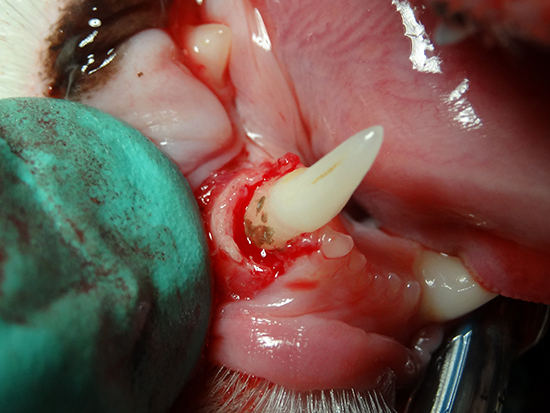 The cause of periodontal disease in dogs and cats is plaque. 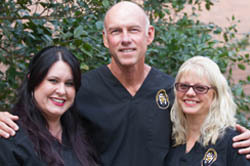 Plaque is the film of bacteria and debris that starts to accumulate immediately after brushing. Obviously brushing daily in our pets is a very difficult and sometimes impossible task. Because of this, plaque bacteria build up and cause inflammation of the gum tissue around the teeth. Left unnoticed the bacteria break the gum barrier, contact the bone and start to destroy the bone around the teeth. 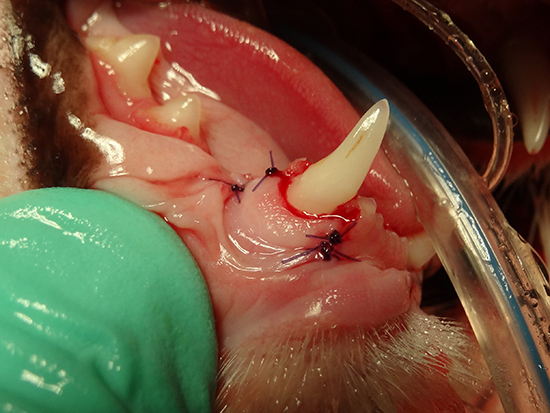 Treatment then progresses to remove the bone with special instruments and contour it so that it is normal again, removing the associated infection. 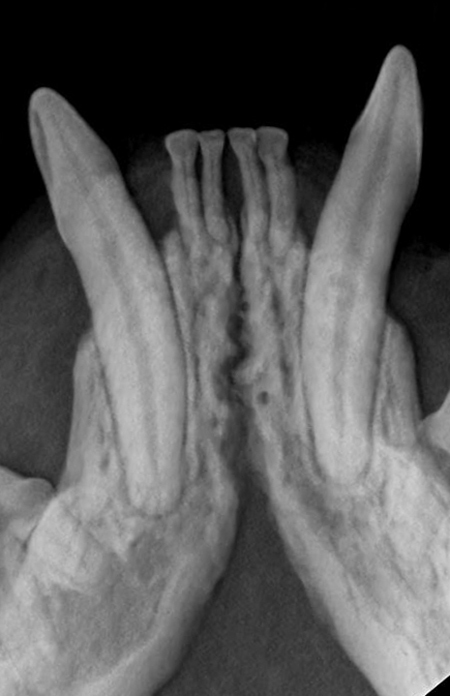 The difference is seen here on the x-ray following treatment. 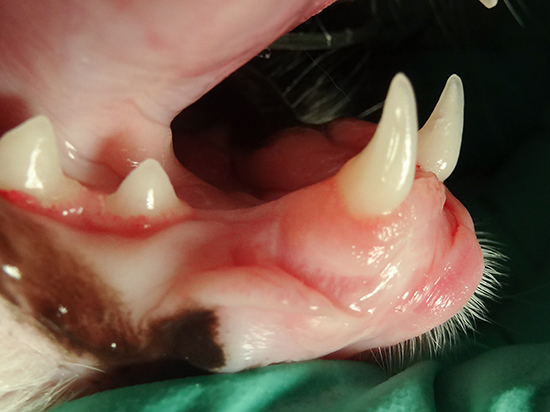 Periodontal surgery, especially in cats, requires the skills of a specialist to avoid trauma to the gum and proper technique to close the tissue for healing. This image was taken 3 months following treatment. 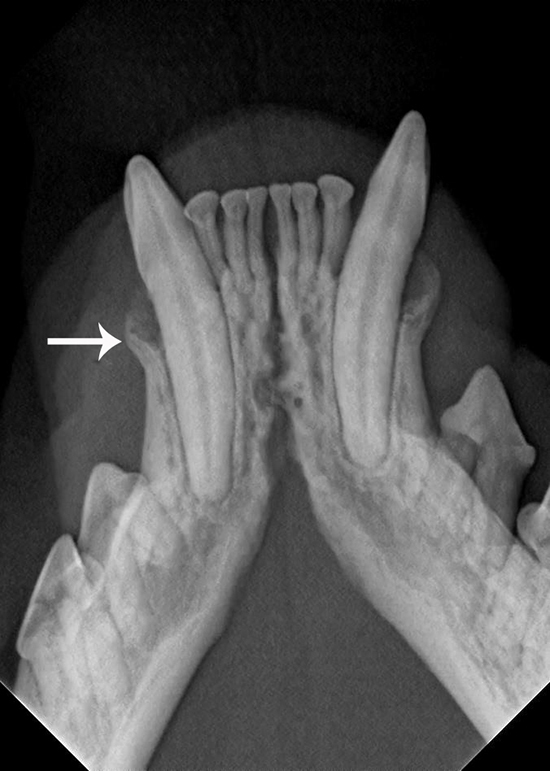 The canine tooth was saved avoiding extraction.